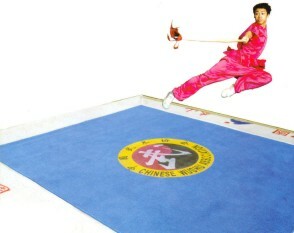 Wushu is the most popular national sport in the country of China, and is practised by people of all ages. Modern wushu has expanded to the world, more than 60 countries participate on the World Wushu Championship every two years. The raw material of the mat is pure wool with static electricity proof.